Technology is improving day by day and physical tools are replacing with software and apps. Once you used to have a voice recorder that could only record voices or an mp3 player that used to help you listen to songs and also record voices. As smartphones are easy to use and they are improving day by day, with the help of advanced technology people have started to put all the necessary utilities as an easy to use the app in a smartphone. As a result video recording, voice recording, camera, mp3 player etc. and a lot more features are available in your smartphone. If you are an iPhone user, you can easily record voice on your iPhone with the help of a third party app. 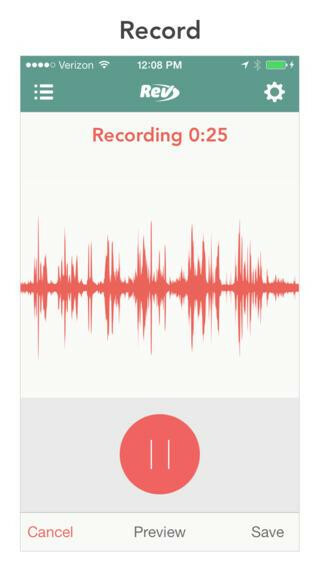 An iPhone voice recorder app can solve your problem of recording voice in your own iPhone easily without any kind of voice recorder. 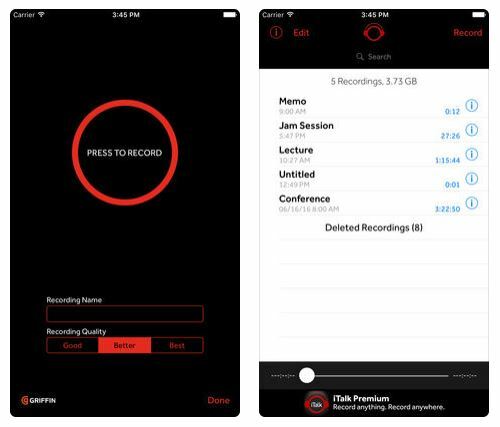 If you are confused about voice recorder for iPhone 6/7/7 Plus/8/8 Plus/X, then you need to read this article to know about the best voice recorder app for iPhone. #1. 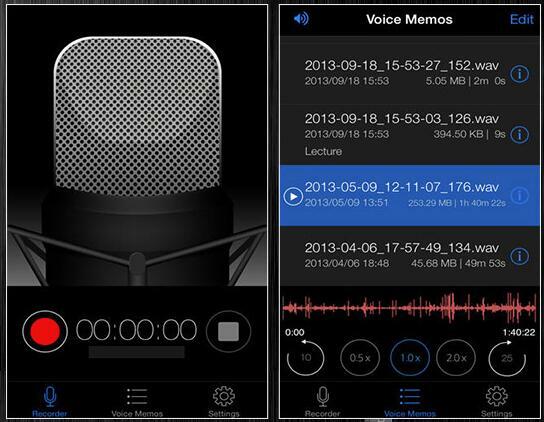 Recorder Plus - the best voice recorder apps for iPhone. It supports both iPhone and iPad devices. It’s easy to share audio files with another device or a friend. 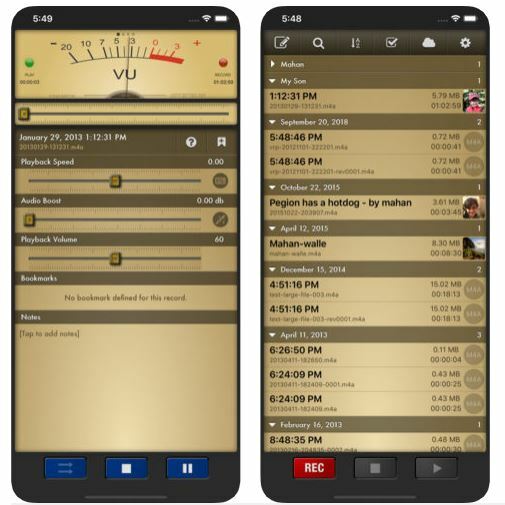 The iPhone voice recorder supports a wide range of both audio and voice formats. It’s free of charge with no purchase fees. You can share your audio files via Dropbox, Google Drive, Skydive and Share Sheet. 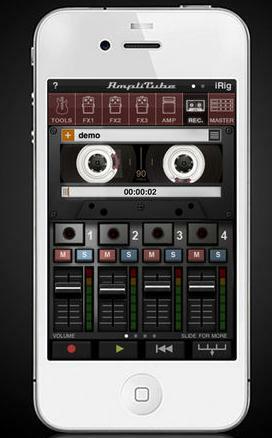 The voice recorder app for iphone is only available on iOS 8 or later. 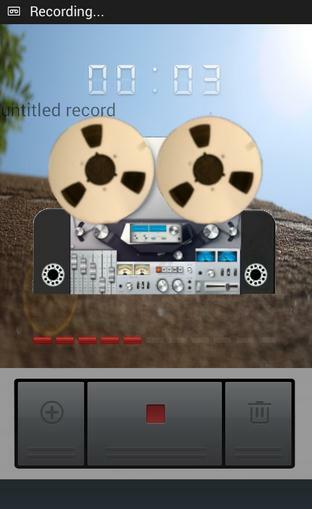 With this app, you can easily record over 21 hours of audio files. 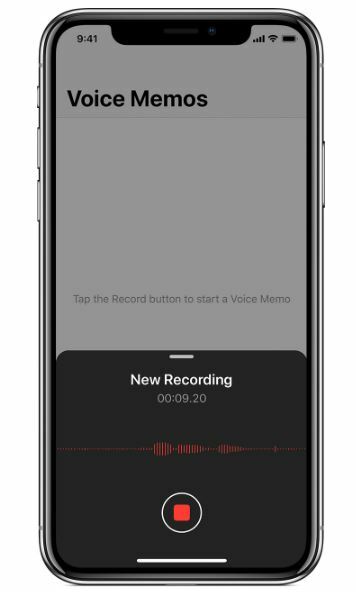 The iPhone voice recorder supports background recording where you can open and operate other apps in the background while still recording. You can use the AirDrop sharing program to share audio files with other iOS devices. It can configure low-quality audio files to high-quality ones. It comes with an audio boost that reduces background noise when recording is in place. It supports Apple Watch recording. You can record and save your audio files on DropBox. The voice memo iPhone app doesn’t support iCloud connectivity. Some features such as M4A are only available upon a complete purchase from Apple. You can export short recordings via email. It comes with an iCloud feature capability. The voice recorder app for iPhone can generate ringtones for the iPhone. You can share files via iTunes. You can navigate through your recordings using the time slider bar. It supports a wide number of audio files. You can quickly transcribe your recorded files. You can record audio files and share them via Bluetooth. No time limit when it comes to recording. The iPhone voice recorder requires iOS version 9 or later. ALX feature makes the recordings louder and clearer. 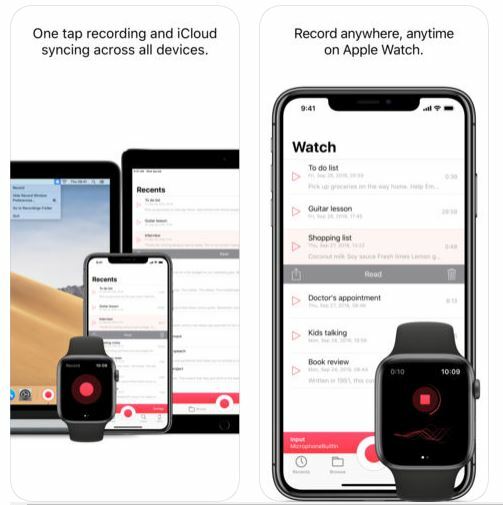 This voice recorder app for iPhone is a perfect choice of iPhone audio recorder if you usually do a lot of recordings because it does not limit you. You can use your creativity whenever and wherever you want. One-tap recording from the voice recorder app iPhone, the Notification Center, or your home screen. Ability to share notes with any other app that supports audio or text sharing. Text transcription for several languages with support for punctuation commands. "Unlimited" recording time for as long as your device will allow. It records mono audio at three levels of quality. You can email, message, and share it with other apps like Dropbox, Notes, Slack, Google Drive, and SoundCloud directly from the app. Only premium version lets you record in the background, something that is not possible with the free version for iOS 7 and above. Unlimited recording time and numbers. Transfer recordings to your new devices. You can upload your recordings to Dropbox, Evernote, Google Drive and Email them easily. Share recordings on social media platforms. Easy to use process and interface. Sometimes app creates buzz noises in the recording for bug issues. It’s a built-in app comes with iPhone. Very easy and basic options. You can send files through AirDrop, texts, email. You can also save them to Google Drive and Dropbox. Anyone can use it because it’s really easy to use. Very basic audio recording app, no advanced options available. You can import recordings to Google Drive™, DropBox, Microsoft® OneDrive, Box Cloud, iCloud Drive, SoundCloud, FTP server, Any Web base Script. You will get WebDav support using WiFi service. Edit recordings easily by using the editor. This iPhone voice recorder can’t record on Apple Watch or iPhone. If you don’t know how to record voice on iPhone manually, then this part will help you to do so. It’s really easy and there is nothing much to do. Here is how you can do it. First, you need to start the Voice Memos app on iPhone or use assistance from Siri to open it. To start recording, tap on the "red round" button and to stop it, tap on the "red square inside a black round" button. After you tap the stop button, your recording will automatically be saved as the current location of the recording. After reading this article, you know that the best voice recorder app for iPhone is available for you. 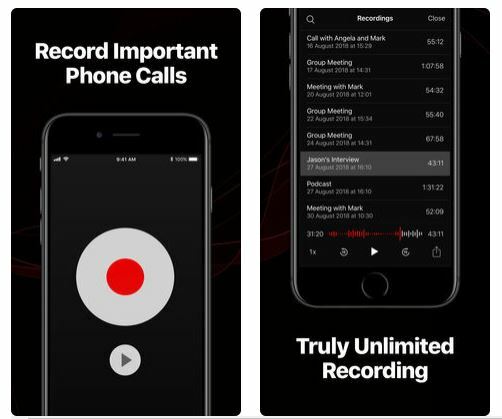 You can choose any of these voice recorder apps for iPhone because these 10 apps are better iPhone voice recorder than most of the other apps on the internet. 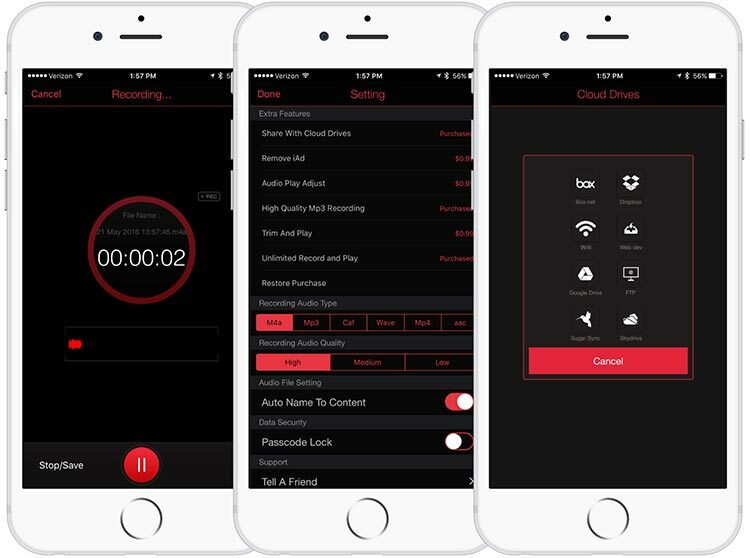 So there is no need to panic anymore, just record high-quality audios on your iPhone easily. After recording on your iPhone, they will be saved as audio files to your device. If you mistakenly delete them, you can also use the best iPhone data recovery software to easily and completely recover deleted audio files from iPhone 5/6/7/7 Plus/8/8 Plus/X/XS/XR, iPad or iPod touch.